Requires iOS 6.1 or later. Compatible with iPhone, iPad, and iPod touch. This app is optimized for iPhone 5, iPhone 6, and iPhone 6 Plus. 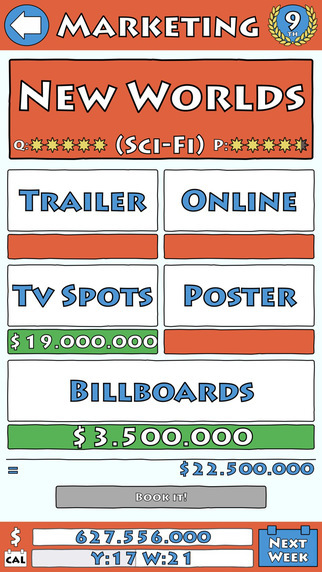 Get your movie business career started and become the most successful mogul of Hollywoods movie industry. Hollywood Studios let you run your own Movie-Production. 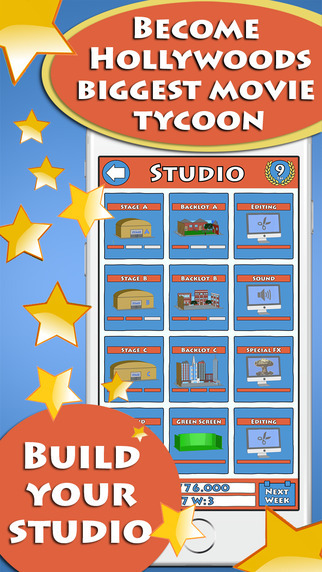 You will try to enforce 13 competitive studios, aiming to become Hollywoods most successful producer. stages and backlots to produce even bigger and more successful blockbusters. 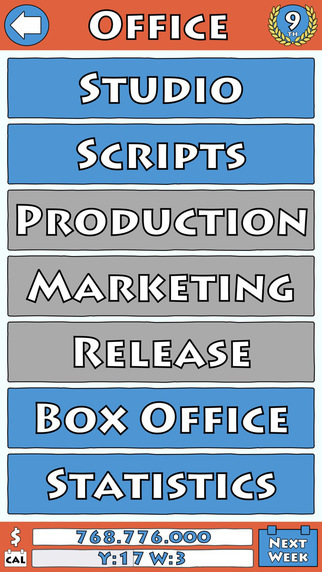 - Purchase Scripts or assign screenwriters to realize your own ideas. 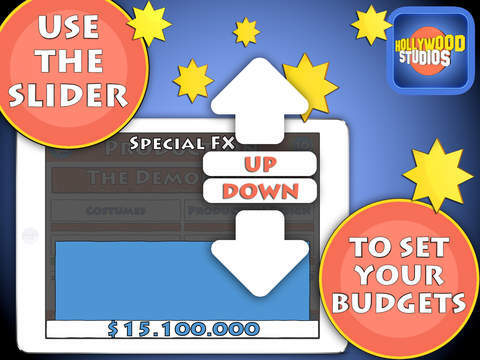 - Assign actors and directors and determine the budgets for your movie-projects. - Organize the marketing during the production process. - Be thrilled once the first Box Office results be published. 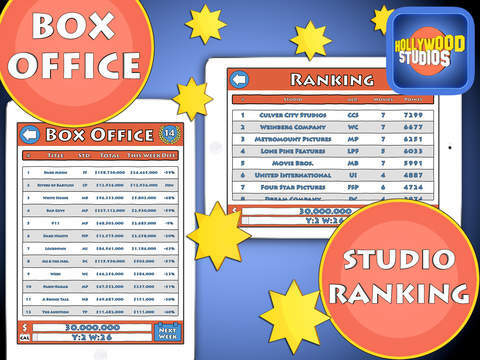 - Produce several movie simultaneously to conquer your competitors. you schedule your movie-premiere to gain a more successful opening.